The Happy Trails stroller is a feature-filled economic pet stroller. It goes anywhere you want to go with your best furry pals. 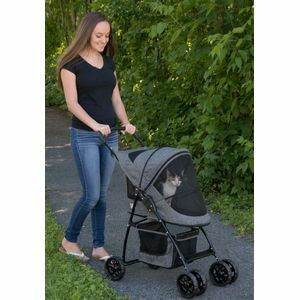 It has the easy fold convenience you want in a pet stroller. 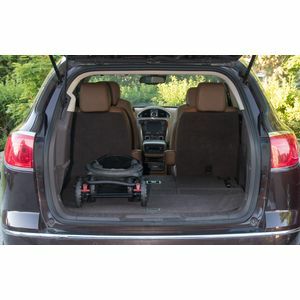 Pet strollers raise the level of safety when you're out with your pets. There's lots of storage for cell phones, keys food and other items to make your stroll more enjoyable. Height to handle is 37.5"
Put more fun in your walks with your pets with the economic Happy Trails pet stroller. Order yours today!